When it comes to having fun, most people will talk about travel and leisure. Chances are that one will think about enjoying a swim, or just basking by the beach. However, it is important to know that there are many other water fun activities that you can try out. All you need is a large water mass and an open mind to explore the numerous possibilities. This is because, as we are going to see, there is a water sporting activity for every individual. This is one of the oldest large water body sports known to man. The kayak is designed such that an individual can fit in a cockpit while paddling with a double bladed paddle. Some kayaks are known to have more than one cockpit. This sport is suitable for lakes, and rivers. One can also use a kayak to explore the sea where the water is calm. The modern day kayak has various adjustments. In the recent past, there has been an introduction of an inflatable kayak, a kayak that has revolutionized the kayaking experience. If you are looking for a challenging water fun activity, then rafting is the best water fun activity. The sport is particularly popular among individual looking for a thrill. The modern raft is an inflatable boat that can accommodate at least four passengers. The rafters propel their raft using a single bladed paddle. 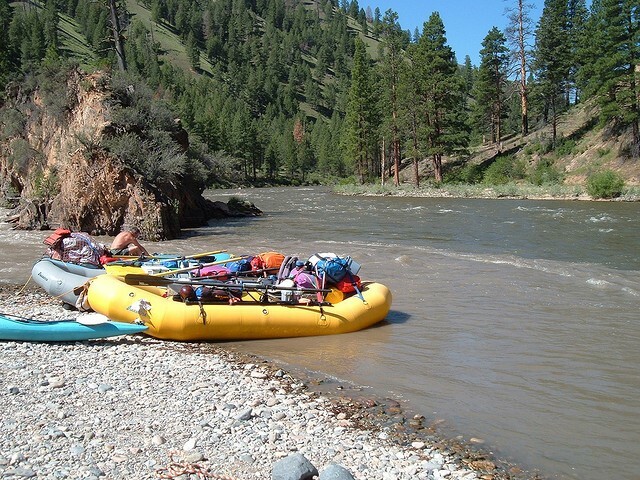 White water rafting, which is a type of rafting, incorporates rafting on particularly rough waters thathave rapids. This is one fun sport that will surely have your body rushing with adrenalin. Barefoot skiing is a sport where an individual is pulled behind a speeding boat, gliding over the surface of a large water body barefoot. This is also another thrill oriented water sport. The fact that it requires one to be pulled at higher speeds than those using water skis makes it even more wild and fun. This a general water fun activity that incorporates various types of boats. The general idea is to have individuals or teams compete over a stretch of a large water body such as a a lake or sea. The competitors may opt to use canoes, drag boats, or yachts among others. The easiest among these is to use the boats with outboard motors. Since this is meant to be fun, most people do not follow any strict rules making it even more unpredictable and exciting. 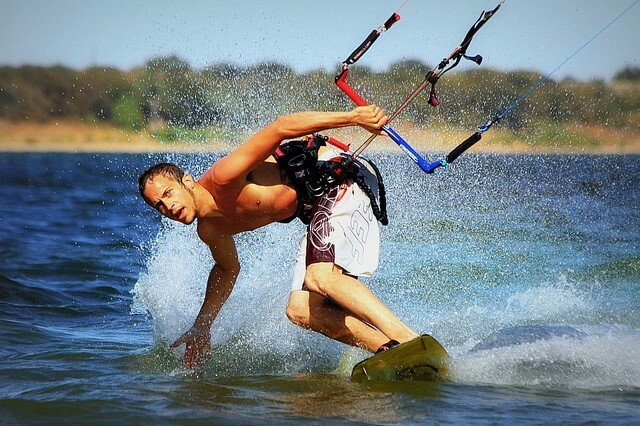 Also known as kite boarding, this is a sport that incorporates an individual using a controllable kite to propel him/herself over a large water body. The individual may do this over a lake, sea, or ocean. Kite surfing is a sport that is physically intensive as it requires a certain level of gymnastics to accomplish some of the moves performed. The Kite surfer has a small surf board that he uses to glide over the water surface. The yacht has come to be associated with leisure, which is an important part of any water fun activity. Yachting involves the use of a fast moving boated to sail or move over a large water body. A yacht is mostly fitted with a sailing mechanism or an outboard motor that makes it easy to move around. If one is looking for a calm and serene water fun activity, then yachting is the sport of choice. Before you set your sails make a good preparation. What is your favorite water activity? MS Office expert and a contributor on several sites. Most of my articles are from personal experience but I also like to write about something that grab my attention. Spending time outdoors is something I like and when I can take my bike along it's just a bonus.